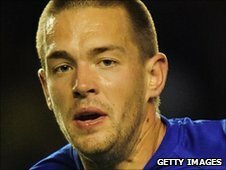 Hull City have signed Leicester striker Matty Fryatt for £1.2m, rising to a possible £1.6m. Fryatt played for Tigers boss Nigel Pearson at the Walkers Stadium and was part of the Leicester side that won promotion from League One in 2009. Nuneaton-born Fryatt, 24, has scored 51 goals in 168 league matches since joining the Foxes from Walsall in 2006. Leicester visit Hull in Saturday's Championship clash but Fryatt will not be part of the Tiger's matchday squad. Fryatt follows Peterborough United striker Aaron Maclean into the Tigers squad just weeks after a multi-million pound takeover of the Tigers by East Yorkshire businessman Assem Allam.